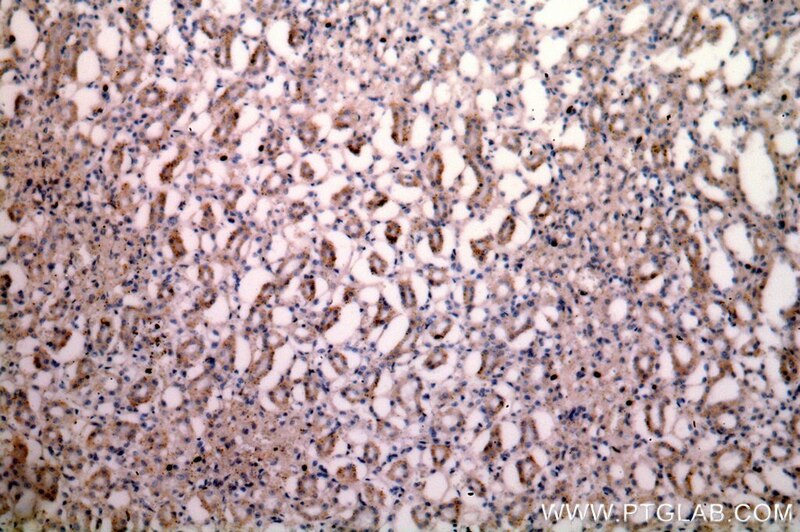 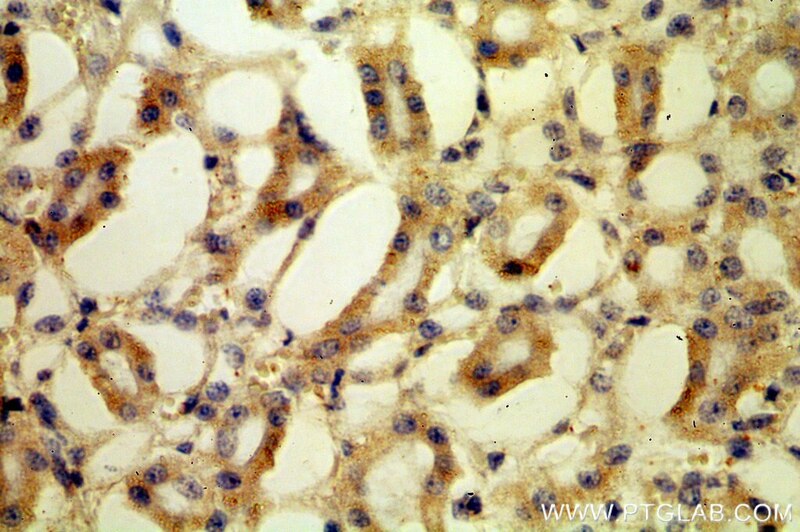 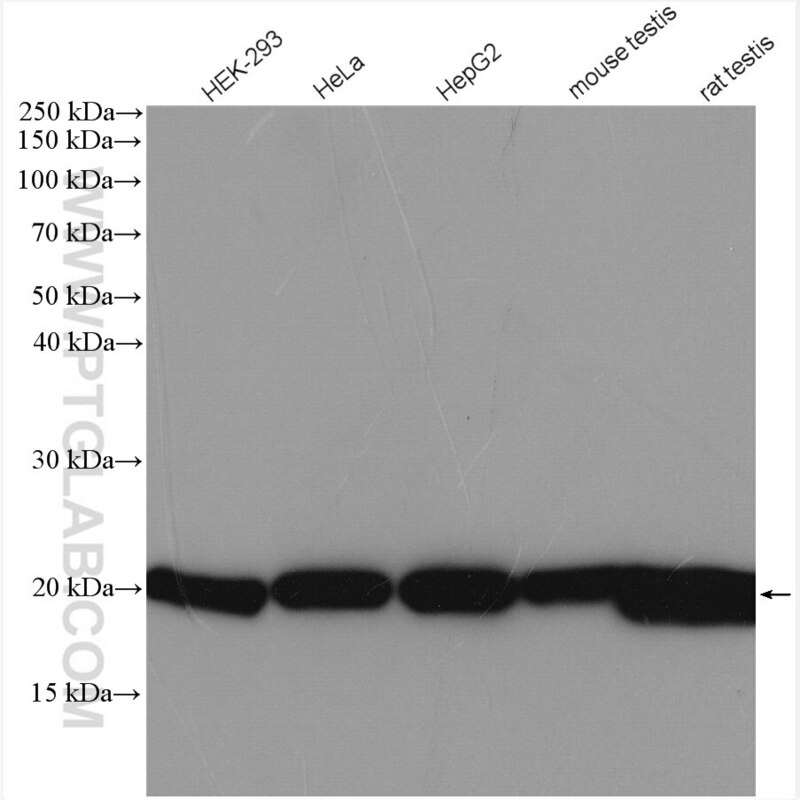 IP Result of anti-DIABLO (IP:10434-1-AP, 4ug; Detection:10434-1-AP 1:500) with HEK-293 cells lysate 2000ug. 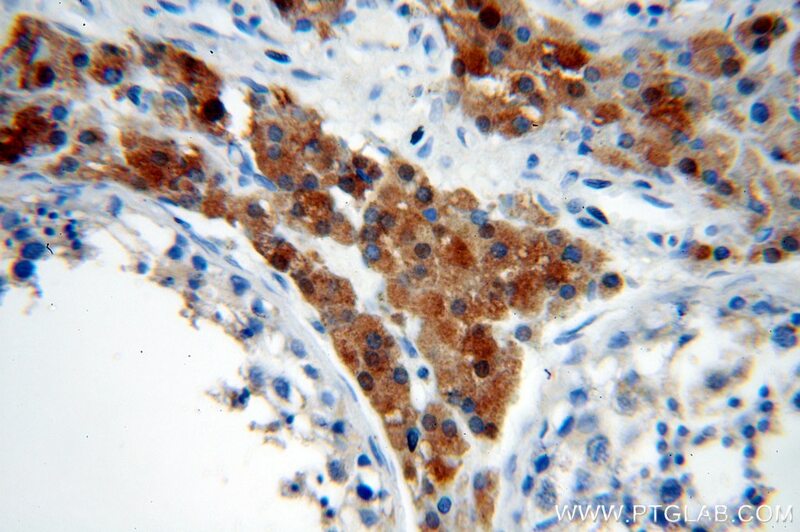 DIABLO, also named as SMAC, promotes apoptosis by activating caspases in the cytochrome c/Apaf-1/caspase-9 pathway. 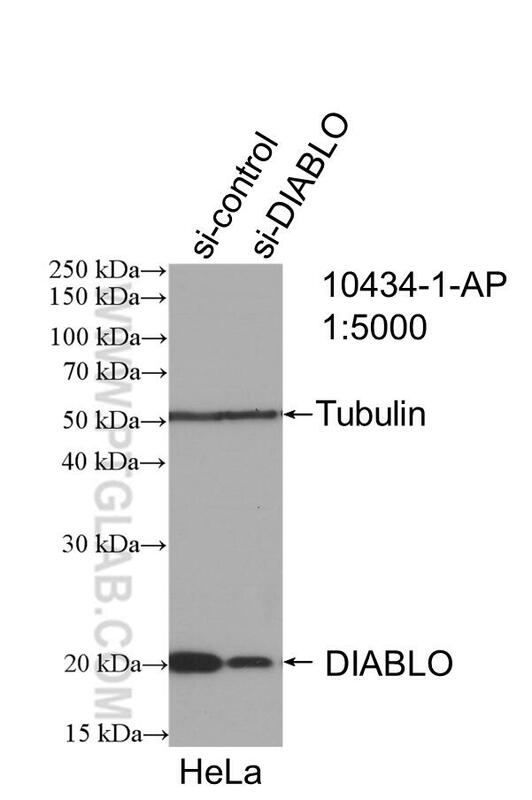 DIABLO inhibits the activity of BIRC6/bruce by inhibiting its binding to caspases. 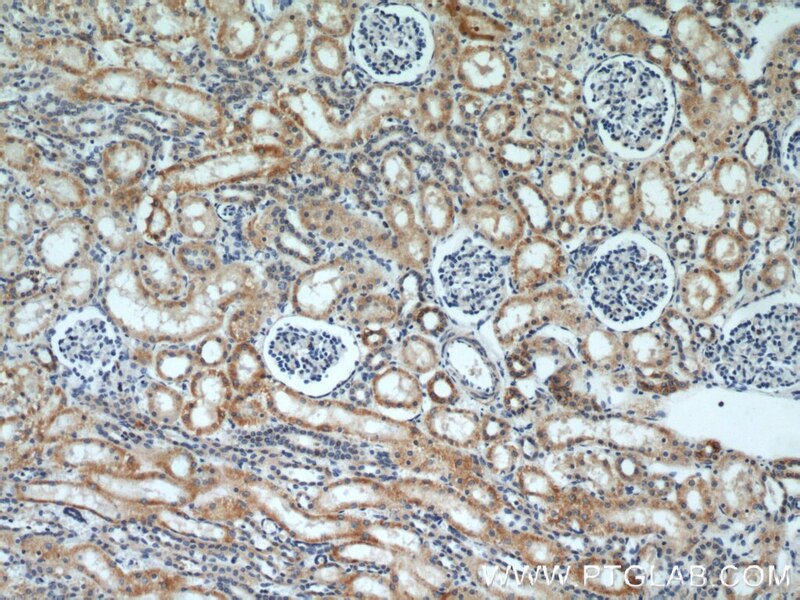 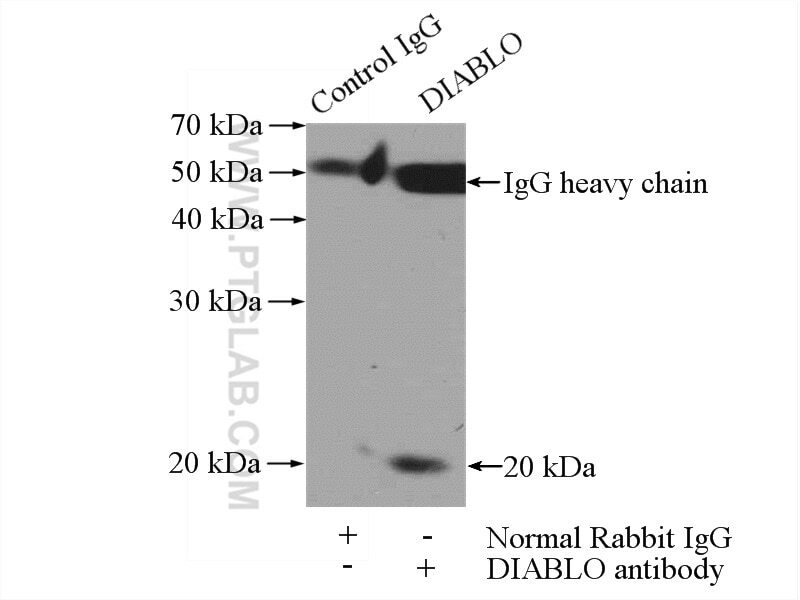 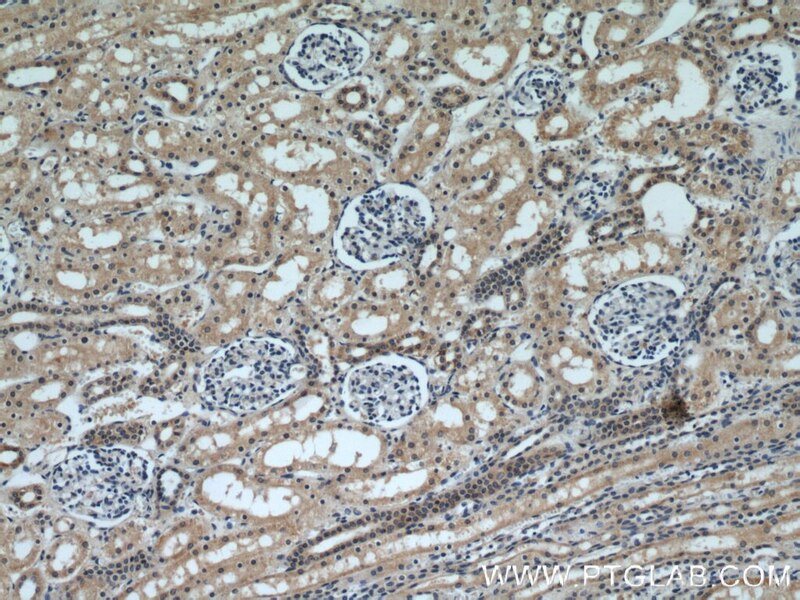 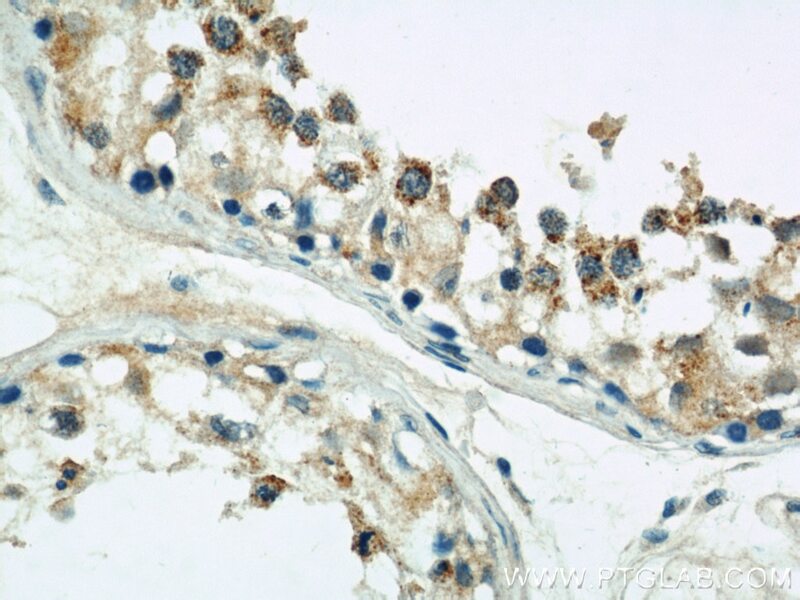 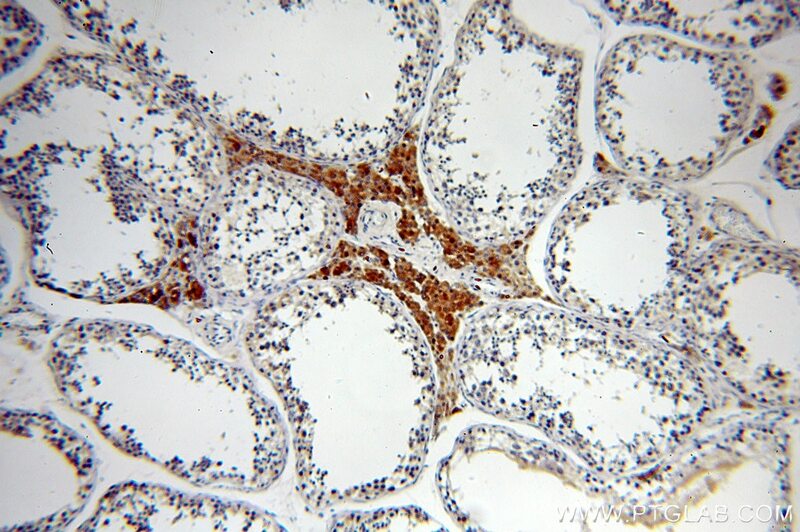 This antibody recognizes all the three isoforms (27 kDa and 22 kDa) of DIABLO. 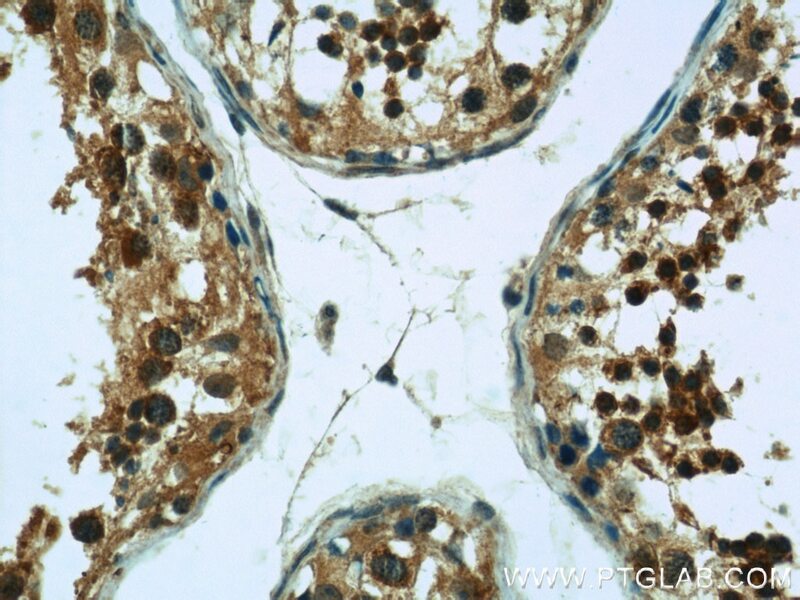 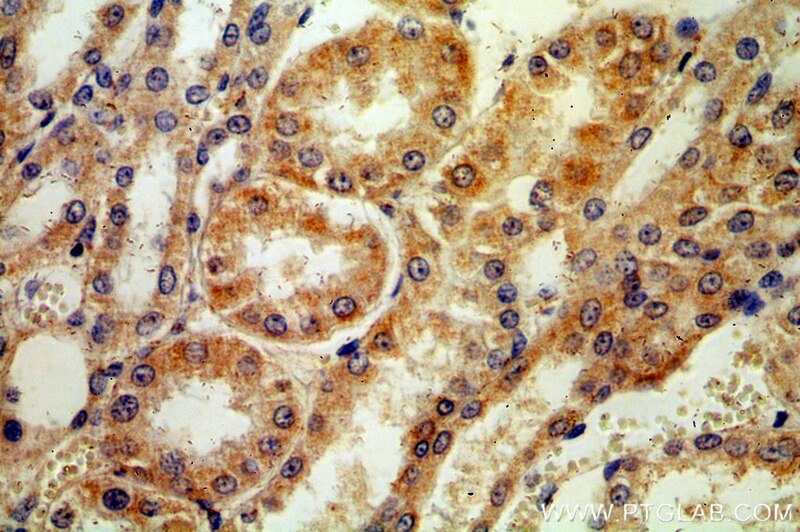 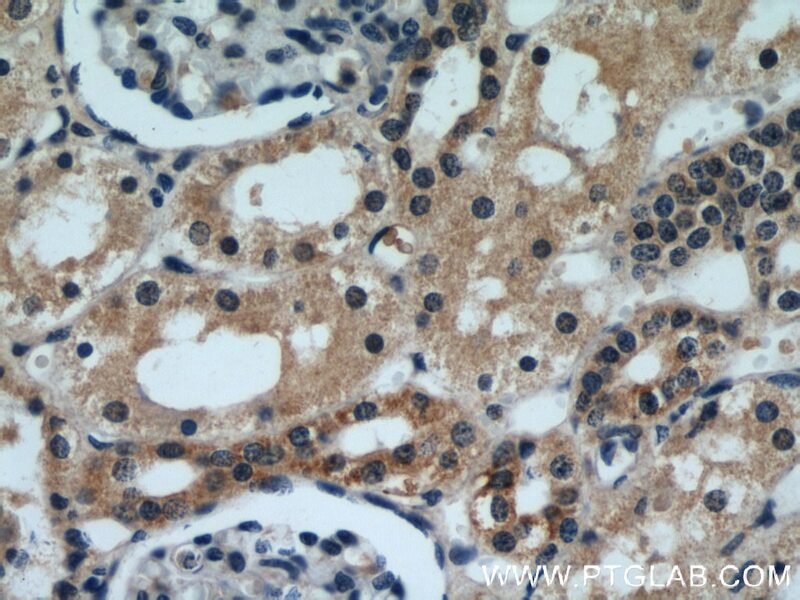 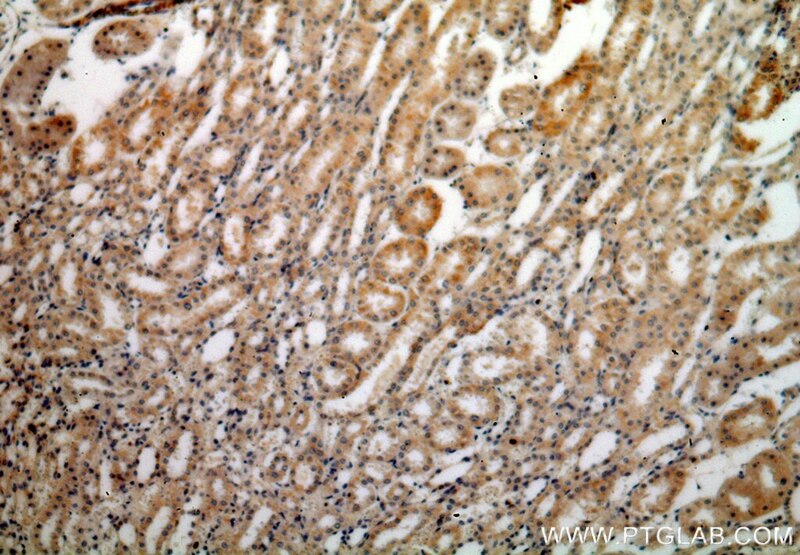 The highest expression was in the testis, adrenal gland, and ears. 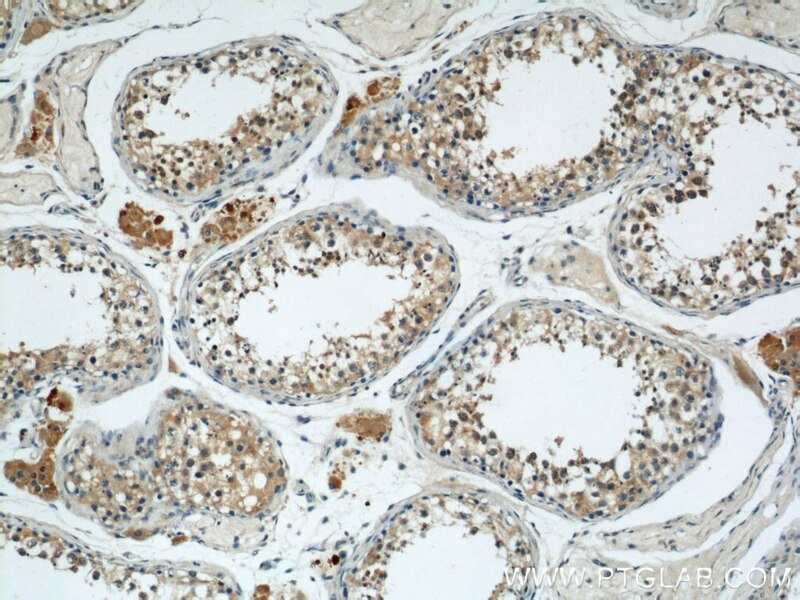 Cathelicidin PR-39 peptide inhibits hypoxia/reperfusion-induced kidney cell apoptosis by suppression of the endoplasmic reticulum-stress pathway. 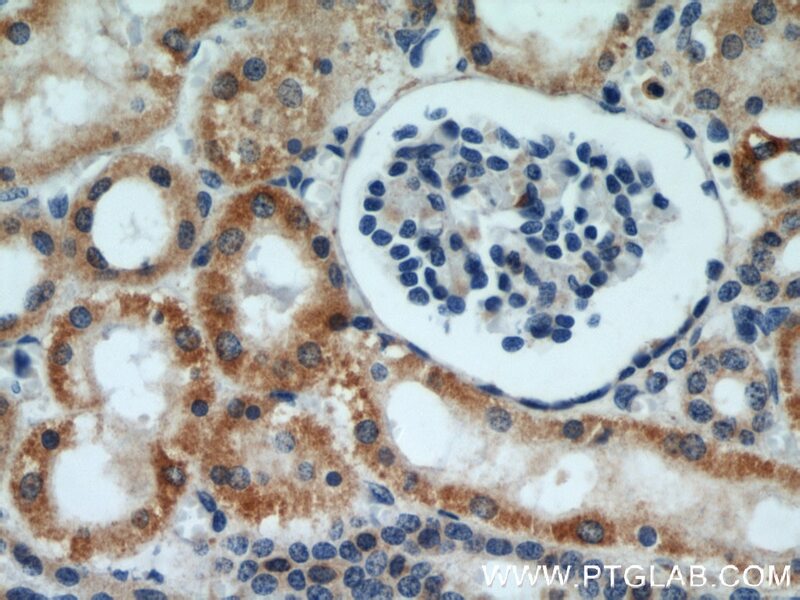 Resveratrol ameliorates podocyte damage in diabetic mice via SIRT1/PGC-1α mediated attenuation of mitochondrial oxidative stress. 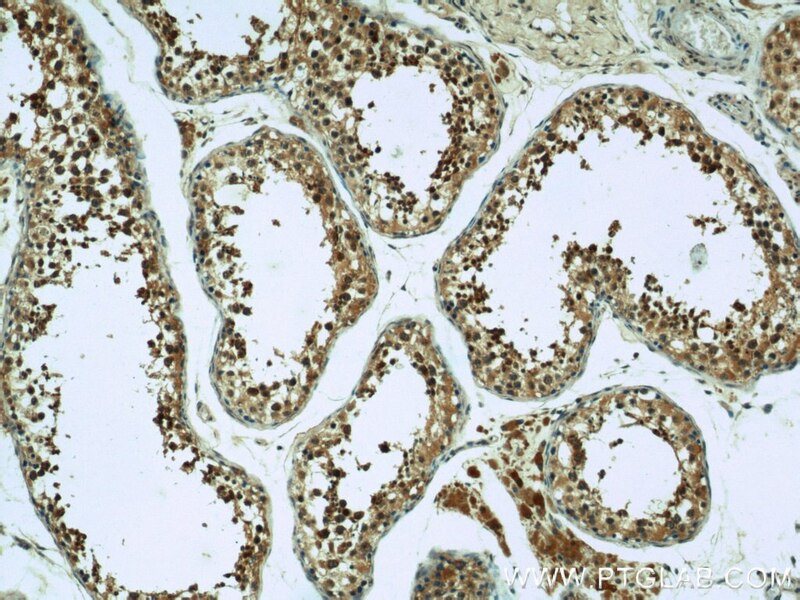 Resveratrol Reduces Oxidative Stress and Apoptosis in Podocytes via Sir2-Related Enzymes, Sirtuins1 (SIRT1)/Peroxisome Proliferator-Activated Receptor γ Co-Activator 1α (PGC-1α) Axis.